Hollister Road is pedestrian un-friendly. 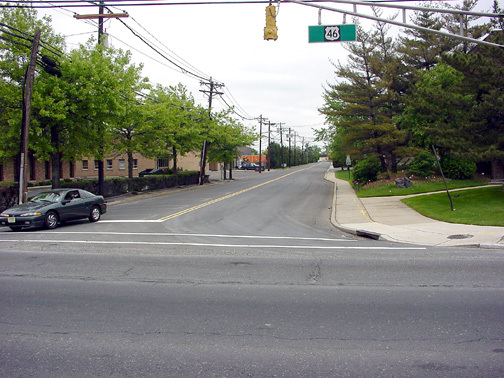 Note the poor striping, signage and signaling for pedestrian to cross Route 46 to reach bus stops. This intersection has a history. In 2002, the Hasbrouck Heights Fire Department reported about a half dozen serious incidents (requiring HHFD call). In May 2003, an oil truck overturned shutting down Route 46 for hours to clean up. 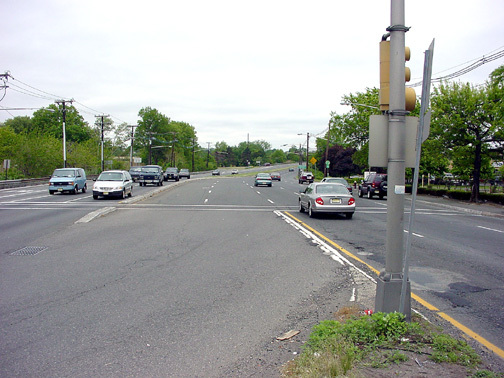 Area leaders consider the pedestrian crossings hazardous, and the Industrial Avenue traffic entering Route 46 confusing. According to officials, the DOT is not considering any upgrades in the immediate future. 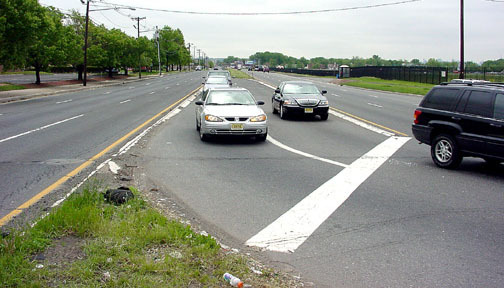 Bergen County would permit re-striping and minor road modification. A traffic study is proposed. 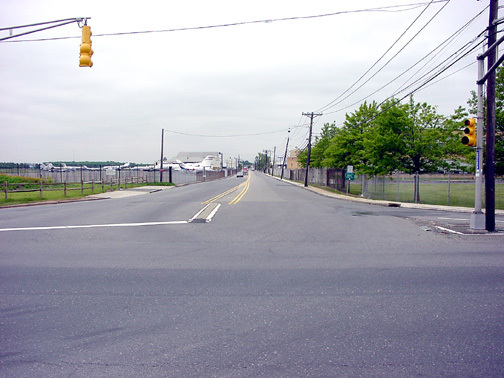 Looking south on Industrial Avenue from Route 46. View of Route 46 looking west. The center lanes are where traffic from Industrial Avenue enters Route 46 west. The rise in the distance is the Green Street exit and the overpass for the railroad. Note that there is a Route 46 West bus stop about 1/3 in from the right. View of Hollister Road looking north from Route 46. View of Route 46 looking east. Huyler Street is at the other end. Traffic is turning onto Industrial Avenue. Note the Route 46 East bus stop is along the airport fence, about 1/3 in from the left.